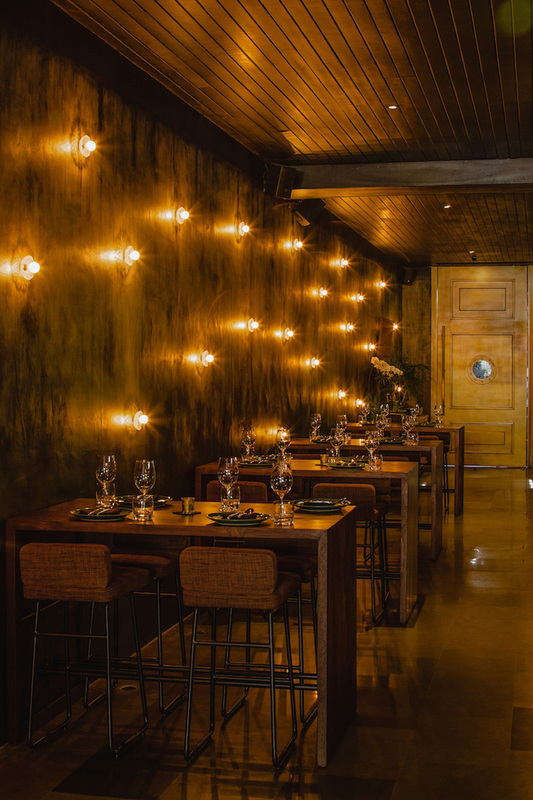 Som Chai’s ‘A Culinary Journey Through Tribal Lands’ series is back for a third iteration. 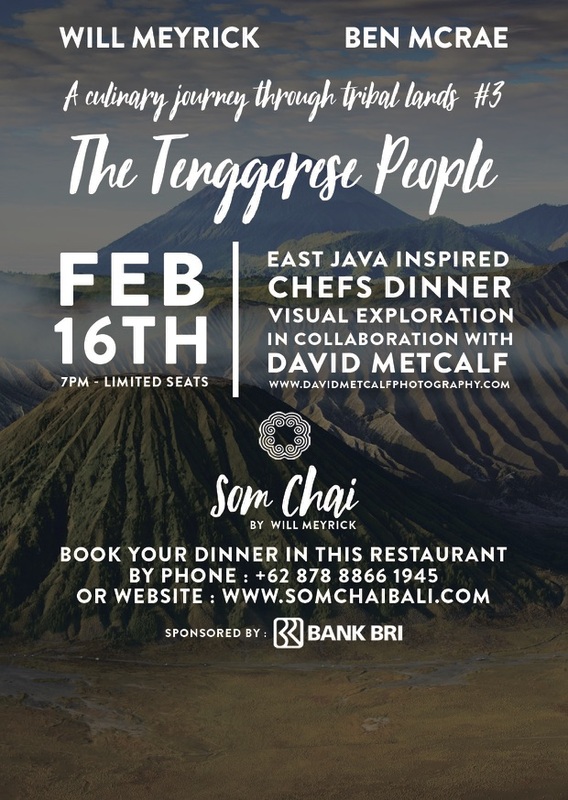 Journey through a night of gastronomic discovery as Will Meyrick and Ben McRae showcase innovative dishes inspired by the traditions of the Tenggerese, one of Java’s most respected and captivating tribal cultures. Hop on this immersive dining experience as Will and Ben take you on a voyage through the cultures and traditions of one of the last surviving ancient tribes in Indonesia. The Tenggerese are a strong ethnic group originating from the sacred Mount Bromo of the East Java region that honours their unique culture through festivals, traditional gatherings and extravagant weddings. As the direct descendants of the princes of the Majapahit kingdoms, the Tenggerese people retains the unique ancient beliefs of communicating to the gods through worship and food. This particular event will explore the culinary history and recreate particular cuisines from the Malang and Surabaya regions that make up the Tenggerese people’s resilient belief of worship and physical wellbeing by way of alchemical balance of connecting man with his maker. Worshiped as a sacred mountain by the Tenggerese, Will spent days travelling and exploring the Tenggerese lands to observe how Mount Bromo imposes the production of crops and livestock, generating conflicting streams of abundance and difficulty that create this phenomenal cuisine. Dry cuisines full of rich spice are served with Nasi Aron or Nasi Tumpeng. 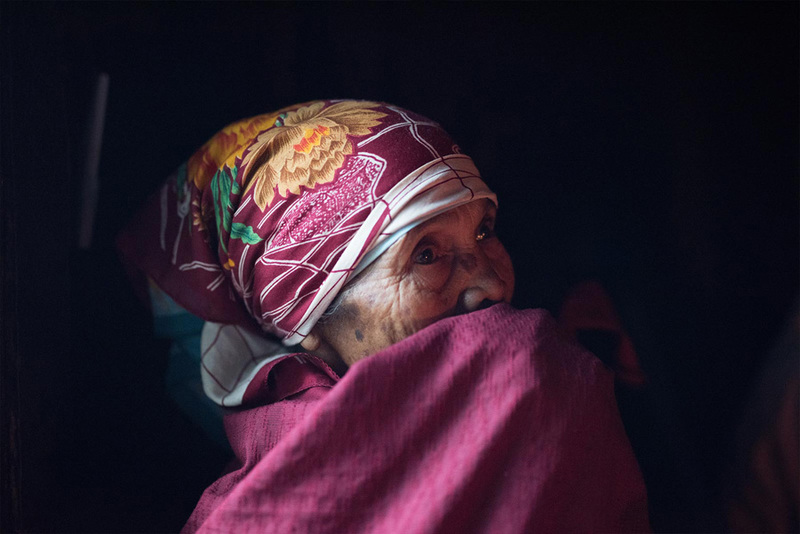 To enhance the experience through visuals, renowned photographer David Metcalf will present a visual exploration of the Tenggerese Festival Yadnya Kasada and the Tenggerese culture. With years of knowledge and experience on the Indonesian culture, David’s vision from the beginning was to develop a communicative and supportive bridge to the rich and raw purity of the countless tribal cultures of Indonesia. The special event was designed as an intricate dining experience to present one of the oldest surviving civilisations in Indonesia and will be an exciting evening where people with a high respect for the rich culture and ancient traditions of Indonesia gather for a night of cultural heritage. Limited seats are available so make your bookings ASAP through https://cho.pe/theTenggeresePeople or call +62 878 8866 1945. A Culinary Journey through Tribal Lands #3: The Tenggerese is sponsored by Bank BRI.